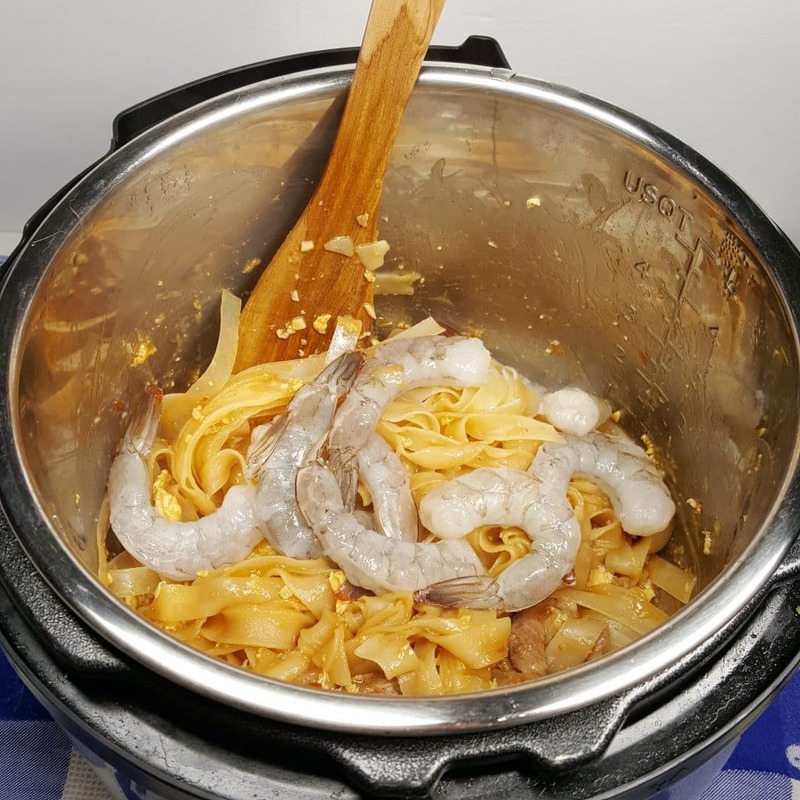 This Instant Pot / Pressure Cooker Pad Thai recipe with Chicken, Pork, Beef and Shrimp, is Top Shelf Restaurant Quality good. There are two things I order at Thai Restaurants. One is Green Curry with Tofu. The other is Pad Thai. Chicken Pad Thai, Pork Pad Thai, Beef Pad Thai, Shrimp Pad Thai. Most people probably order Chicken Pad Thai, but I like a variety. 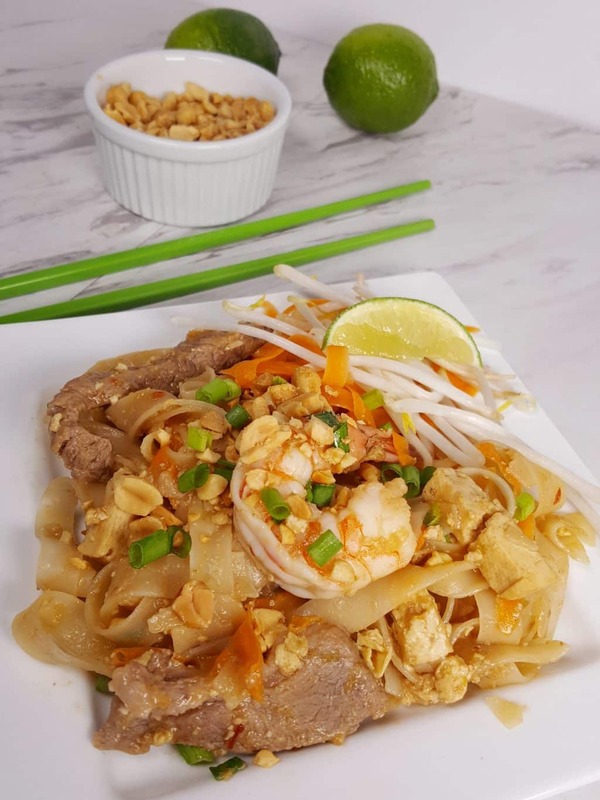 This Pressure Cooker Pad Thai recipe is as good as any of the best Thai restaurants around. Talk about obsessing over a recipe. To convert my Pad Thai recipe to the Pressure Cooker, took a lot of thinking and experimenting. Oh, and a lot of eating Pressure Cooker Pad Thai. 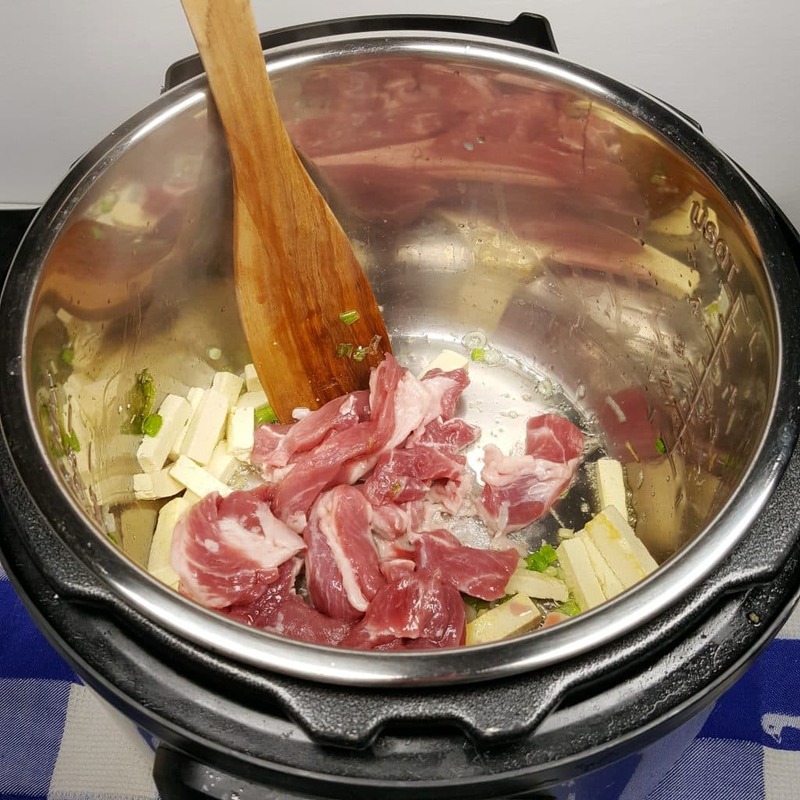 Can I Cook Meat with Noodles in the Pressure Cooker? When cooking Meat and Noodles together in a Pressure Cooker, much thought has to go into the method. The Meat needs to be properly cooked and not raw. At the same time, assuring that the Noodles won’t turn to mush. This was a bit of a challenge. I tried several different methods and came up with perfectly cooked Noodles and perfectly cooked Meat! Do I have to Soak the Noodles? When Stir Frying Rice Noodles, you need to soak them for about 20 minutes. Since this is a Pressure Cooker recipe, with small pieces of meat, the Noodles need to be soaked first. Plus, Pad Thai is not a saucy recipe, so less liquid is used. If large chunks of meat were being used with a longer cook time, then there would be no need to soak the Noodles. The #10 Thai Rice Noodles are the perfect size for Pad Thai. Soak them in hot water for 1-2 minutes, but no longer and then get them out of the water fast. What is in Pad Thai Sauce? Tomato Paste – this is optional. I’ve had Pad Thai, with and without Tomato Paste. Don’t be tempted to purchase “Pad Thai Sauce.” You won’t get the delicious and authentic flavor from the jarred sauce. It is so easy to make yourself! Use a Measuring Cup and Whisk up the Pad Thai Sauce. 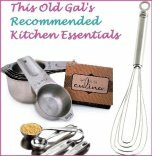 If you have purchased the Rösle Stainless Steel Flat Whisk, I suggest you check it out. It is my most used Kitchen Tool. Palm Sugar is a bit milder than Brown Sugar. It comes in a big round disk. If using Palm Sugar, use a Cheese Grater and shave off what is needed. Panela is a deeper taste than Brown Sugar. 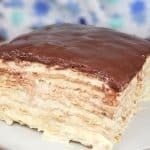 It is a staple in my house and my first choice. It also comes in a big round disk. Taste the Sauce. It should be a bit more sour than sweet. Adjust to your taste, if necessary, but I think it is perfect, as is. Why do I have to heat the Pressure Cooker before adding oil? Heating a stainless steel pot before adding Oil, will help to make the pot non-Stick. 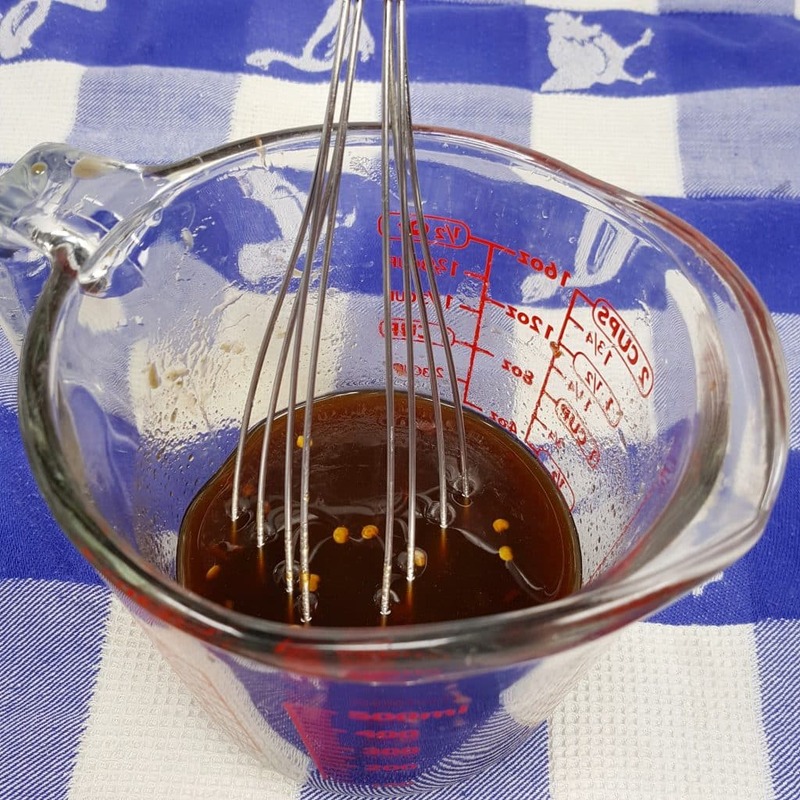 Grapeseed Oil, Peanut Oil and Vegetable Oil, all work well in this recipe. All three oils, do very well using high heat. I have several Dispensing Bottles bottles with different types of oil on hand. Obviously, use what you like, but I am cautioning you about using strong oils like Olive Oil or Sesame Oil in this recipe, as they will negatively alter the flavor. Separate the Green Leaves from the White and Whitish Green Roots of the Scallions. Cut them on the diagonal, about an inch long. We grow our own Scallions, but I used store bought this time and they were tiny. Extra Firm Tofu will hold up best to Stir Frying. The Tofu kind of tastes like a firm egg in this recipe, so if you are thinking you hate Tofu, I hope you will give it a chance. You can always pick it out, if you don’t like it…..but I bet you will. I think by now you all know how picky my husband. He is more than picky. He won’t even taste much of the food I cook. He ate the Tofu in this recipe and loved it. Chicken and Shrimp seem to be the most popular for Pad Thai. Shown here is Pork. 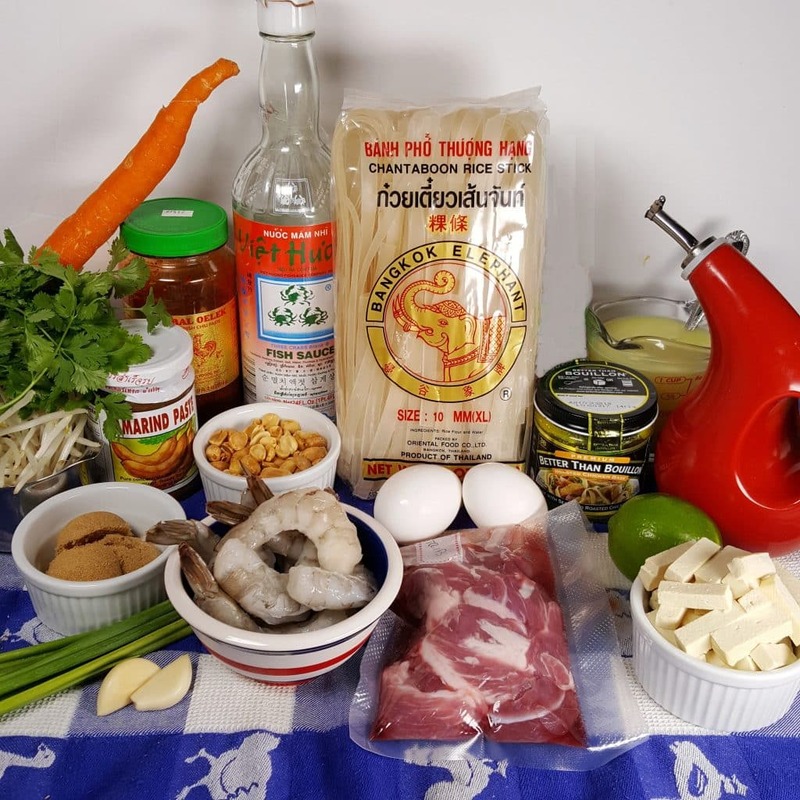 We usually like to do a Chicken, Pork and Shrimp combination Pressure Cooker Pad Thai. After making so many batches, we only had Pork left in the freezer. I am not overly fond of Beef in many Thai and Chinese recipes, but I seem to love it in my Thai Pad See Ew recipe, which is fabuloso! Seriously, try it. If you don’t eat Shrimp, just increase the amount of meat you are using and skip the last part of the recipe, where it talks about adding the Shrimp. If you notice in the ingredients photo above, I used my FoodSaver Vacuum Sealing System to package up the Pork Strips. Large Pork Shoulders, Chuck Roasts, etc. get cut up into Strips and Slices, weighed and frozen into individual packages. Chicken is packaged in whole pieces or slices. 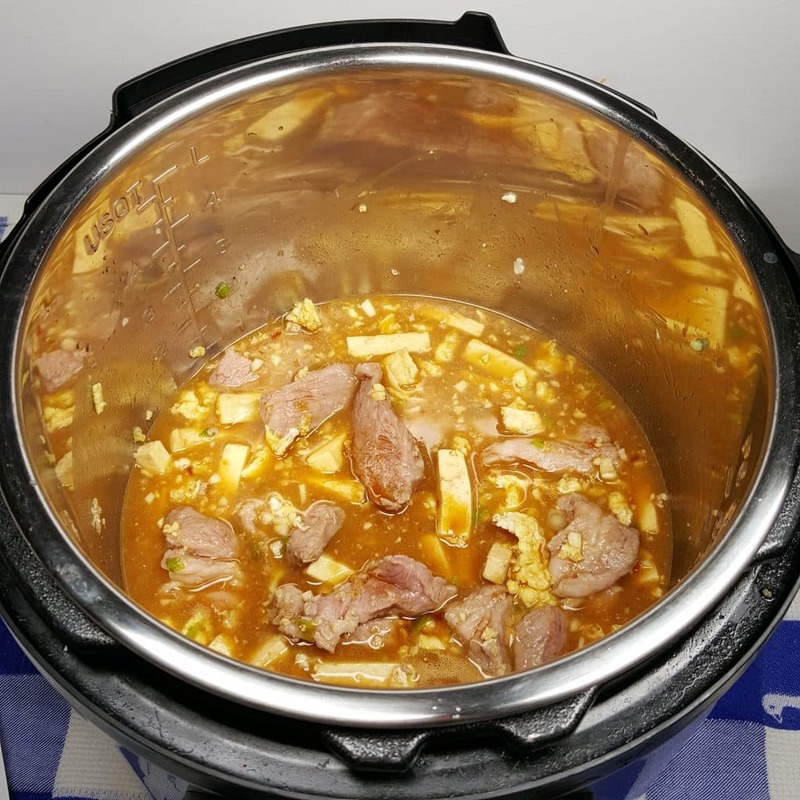 In many cases, like my Pressure Cooker Chinese Take-Out Beef and Broccoli and Pressure Cooker Chicken and Rice recipes, the marinade is frozen with the package meat. I’ve always loved the eggs in Chinese and Thai recipes, so in my Asian recipes, that call for eggs, I add extra. 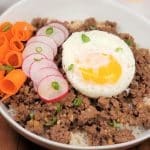 Check out my Pressure Cooker Chinese Fried Rice and Japanese Vegetable Beef Curry Fried Rice recipes. The Eggs will stick to the pot a bit, so make sure to deglaze the cooking pot with the Chicken Broth. Better than Bouillon Chicken Base or your own Pressure Cooker Chicken Stock/Broth, both work well. If using Pressure Cooker Chicken Stock/Broth, dilute it a little with Fresh Water, as Bone Broth is very thick and gelatinous. So maybe 1.25 cups of Broth, mixed with .25 cup Fresh Water. 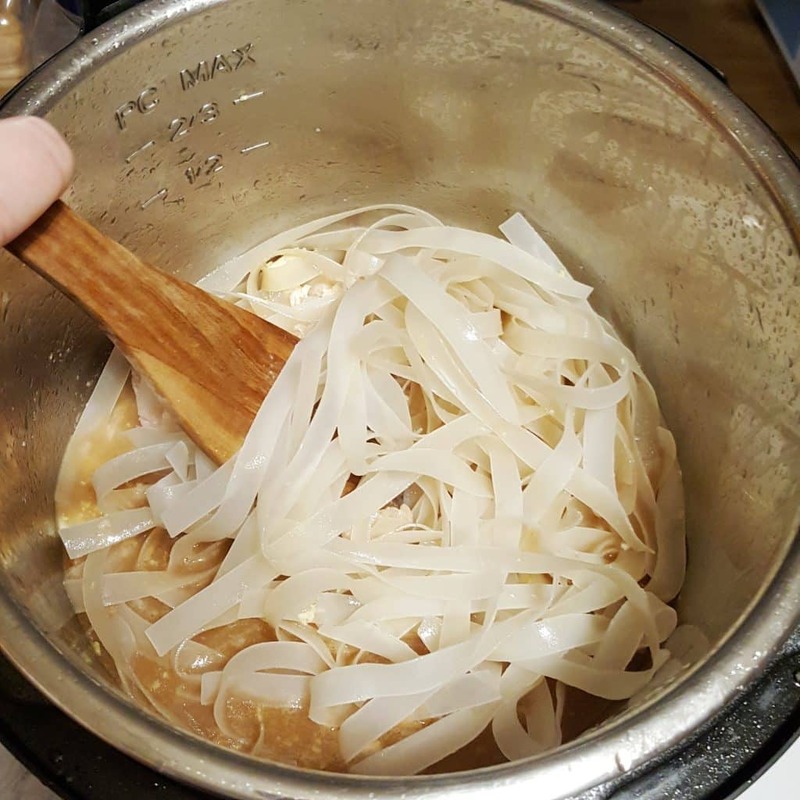 The 1.5 minute Soak time, will give the #10 Thai Rice Noodles, just the right amount of bendability without risking over cooked, mushed Noodles. You will be able to get them into the Pressure Cooker and liquid. Make sure that you do not soak them for longer than 2 minutes, or you will have mushy Noodles. The short Pressure Cooking time, will result in perfectly cooked Pad Thai Noodles! Mix in Raw Shrimp – leave the tails on! After releasing the Pressure, place the Shrimp right on top of the Noodles. There is enough residual heat to leave on the Tails of the Shrimp. Place the Lid of the Pressure Cooker back on the pot, but do not lock it down. Watch the Keep Warm time on the pot, to gauge when to remove the Lid. Mix in some shaved Carrots, Bean Sprouts, Scallions, Cilantro and squeeze of Fresh Lime. Another delicious Thai Noodle dish to try is my Thai Pad See Ew (Stir Fried Noodles). 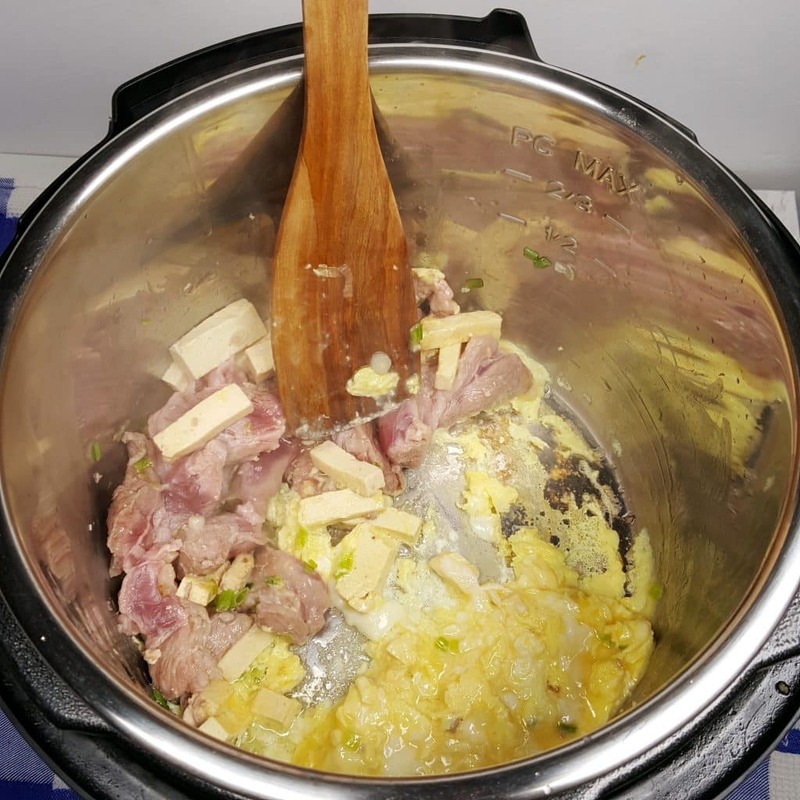 For a delicious Thai Rice dish, try my Pressure Cooker Thai Triple Coconut Rice. Soak Noodles in hot water for 1-2 minutes and drain. Noodles should be slightly bendable. Slice Scallions on the diagonal into 1 inch pieces and separate the Green Leaves from the White/Whitish Green Roots. In a Measuring Cup, whisk together Pad Thai Sauce. Set aside. Select Sauté/Browning on Pressure Cooker and allow to fully heat. 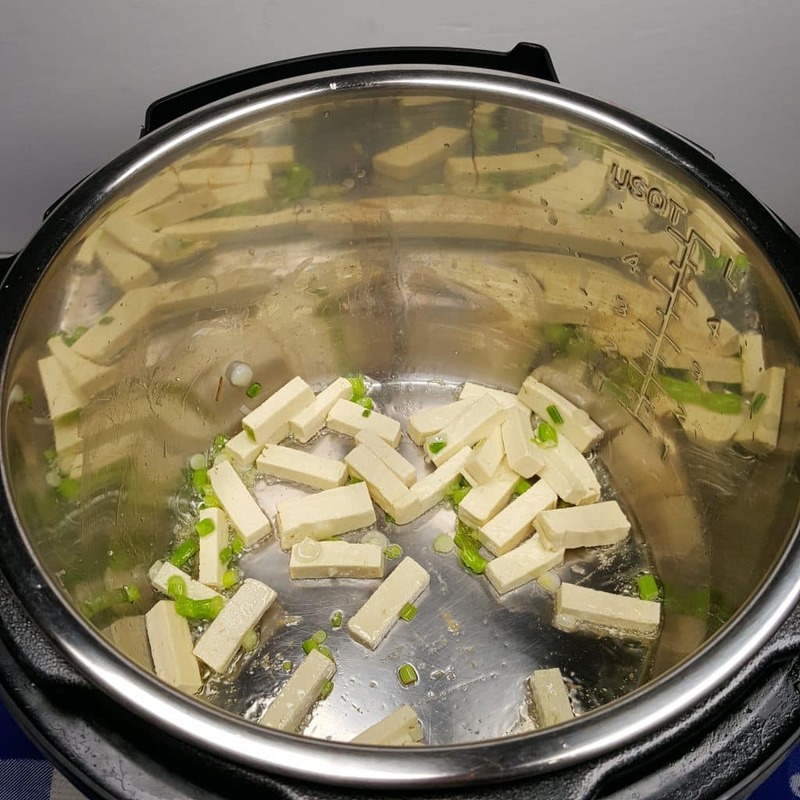 Add Oil, Scallion Roots and Tofu to the cooking pot. Sauté for 1 minute. Add Meat and Garlic and Sauté 1 minute. Push everything to one side and crack Eggs into empty spot in pot. Scramble Eggs until almost firm and then mix them into the Meat. Pour in Broth and carefully (without breaking up Tofu) deglaze cooking pot, making sure to scrape up the stuck on brown bits. Mix in Pad Thai Sauce. Carefully place Noodle into the liquid. Lock on Lid and Close Pressure Valve. Cook at High Pressure for 1 minute. When Beep sounds, wait 5 minutes and then release pressure. Do not turn off pot. Open lid and mix in Shrimp. Place lid back onto Pressure Cooker, but do not lock in down. When Keep Warm time on pot, reaches 10, remove lid and stir. If not using Shrimp, increase meat by 4 ounces. Single Strength Tomato Paste is used for this recipe. For a sweeter dish, add more Brown Sugar. For a spicier dish, add more Sambal Oelek Chili Paste. Make sure to use the #10 Thai Medium Rice Noodles. Sambal Oelek Chili Paste adds a pure Chili taste, without altering the other flavors. 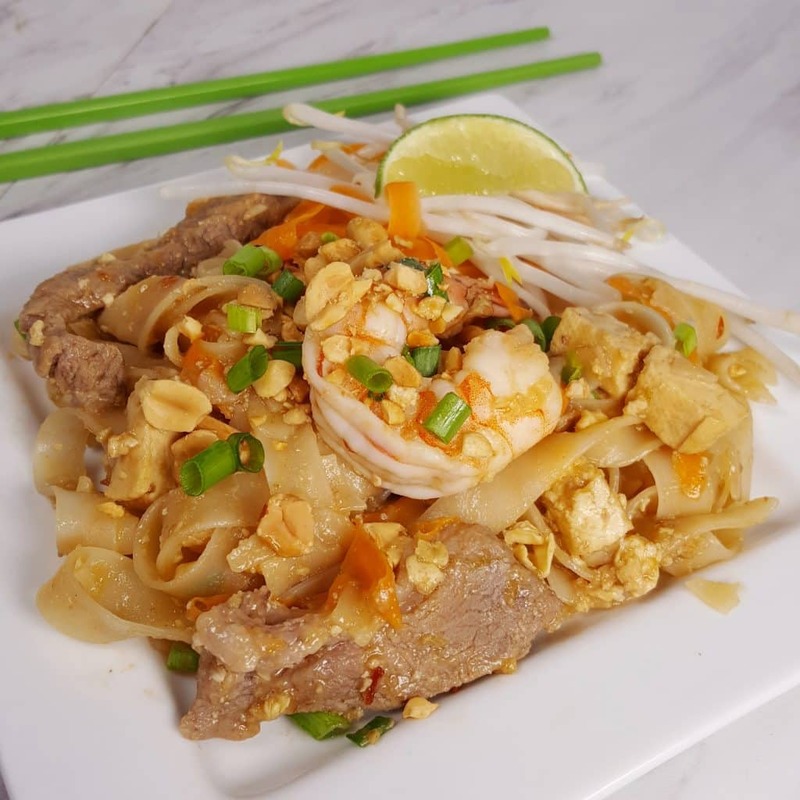 PIN this Instant Pot Pressure Cooker Pad Thai! If you don’t use shrimp and increase pork by 4 oz, do you need to increase the time at high pressure? Thanks! Thank you for looking at my question.. I would like to make you Pad Thai but I live in a small town in East Texas an although it is not their favorite cuisine, Thai is mine! 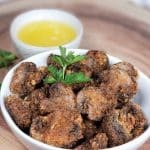 Can you offer a substitute for tamarind paste? I can find every thing but tamarind paste and kaffir lime leaves for my Tom Yum. Thank you for your help. 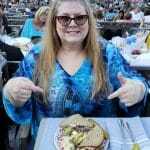 I truly love your recipes of all cuisines!! Thank you! I was thinking I would have to order it. Having lived in Thailand for 2 years, I understand the balance of their ingredients. I will add it to my Amazon basket. I appreciate your advice. Hope I have not double posted to you. The recipe sounds good, but I don’t see the advantage of using the Instant Pot in this case…Pad Thai comes together in seconds on a hot wok or skillet! And it’s a lot easier to clean. I would like to make this without meat -.using shrimp and tofu. Does that change the cooking time? 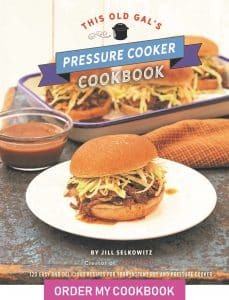 My pressure cooker won’t cook for under 2 minutes… so here’s hoping! You can just set a timer on your phone or microwave and cancel the cook after 1 minute and then set another timer for the 5 npr. 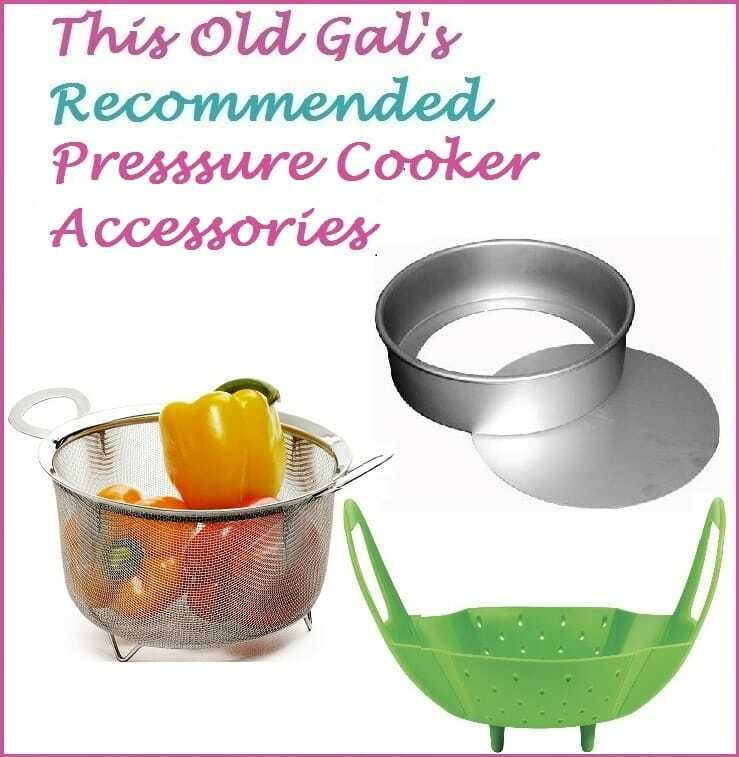 My old pressure cooker was the same way. Just wondering…when do you add the sauce? I bought the wrong noodles – I bought wide Lo Mein noodles, wheat, not rice. Can these noodles be used and cooked the same way as the #10 rice noodles you used in the recipe? It’s been a couple of weeks since I posted my question and made it with the lo mein noodles, but I think it turned out okay after a few more minutes under pressure than the recipe specified. Tasted good! 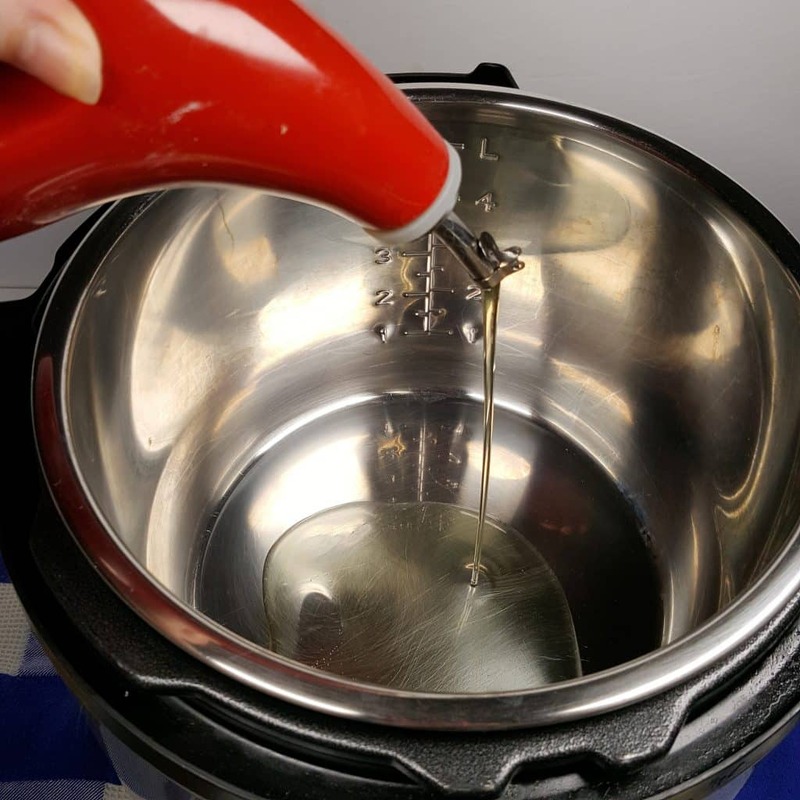 The caption under your picture of adding oil says to add oil to cold pot. Just thought you might like to know. Flavor was amazing – like Pad Thai from my favorite restaurant. I’d personally like it spicier, but kept it as the recipe is written and my 4 year old loved it. 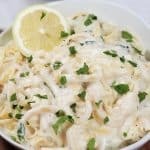 I will make this again, but I will use the above recipe in a wok or fry pan as the noodles turned into a gelatinous mess in the pressure cooker. I followed the soak time, cook time, and release time exactly. So, we have a great pad thai sauce that used peanut butter, soy sauce, siracha sauce, lime juice, and canola oil. Could we use this sauce recipe instead? Are there any adjustments to JUST using chicken? Then above it says to soak noodles for 20 minutes then down lower it says to only soak for 1 to 2. Which is right? This was SOOOOO good, my daughter heated up left overs and COULD NOT BELIEVE they weren’t restaurant leftovers. I made chicken and tofu, but no shrimp because I forgot to get any.